How Did Ben Raybourn win Coastal Carnage 2012? Today in Huntington Beach, skate icons and OG Lance Mountain and Omar Hassan competed alongside young rippers Tom Remillard, Kalani David, Ben Hatchell, Robbie Russo, Curren Caples, Kevin Kowalski, Pedro Barros, Div Adams, Kyle Berard, Ben Raybourn, Josh Mattson, Andrew Langi and a lot more as they shredded the Coastal Carnage bowl. 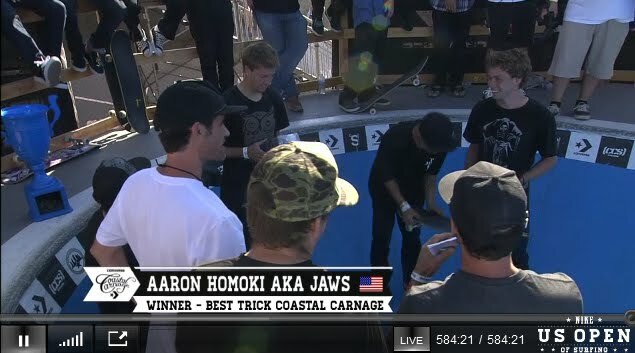 Aaron Homoki (Jaws) won $3,000 for the Coastal Carnage best trick. He also landed 7th at the Converse contest. less speed but more tricks. 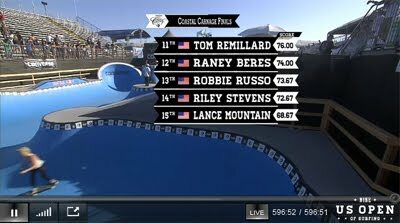 Hatchell landed some pretty good things like his front blunt over the cradle… Tom Remillard was asked before the contest if he was ready to win, he said that he had a great time last year and he was stoked. One can only wonder if Remillard was given more points because of all the misses and collision, but eventually, that did not came into the equation. Too bad. than the one before. 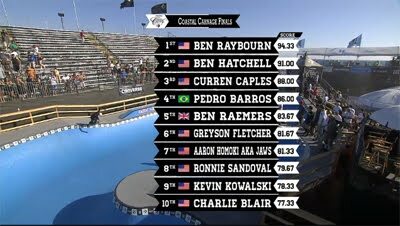 Even 16 year old Brazilian megastar Pedro Barros, Ben Hatchel and Curren Caples had to fight to keep up with him. Between Raybourn and his fellow skaters the bowl was a flurry of backside ollies, backside tailside to fakies, switches, tailgrabs, 720s and McTwists. 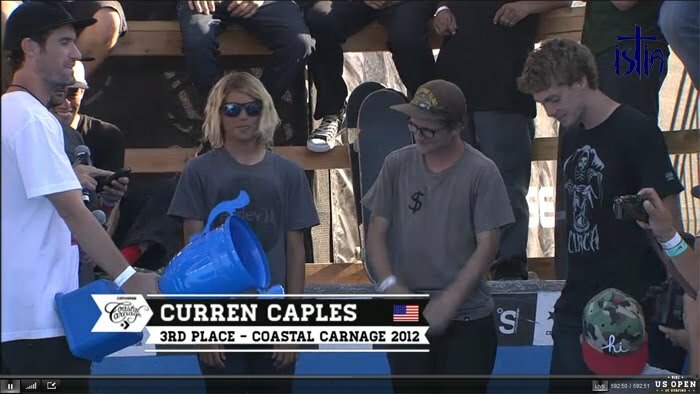 Like last year, 16 year old Curren Caples claimed 3rd place with its $8,000 prize purse and in the end Pedro Barros managed to snag a 4th place win and a $12,000 payday for himself. 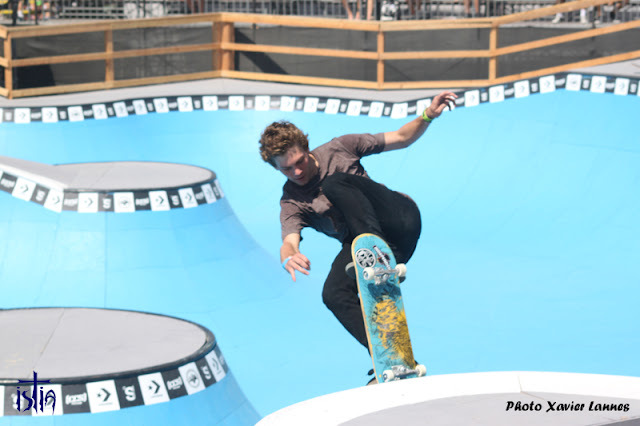 Barros is fresh off stellar performances delivered at both the X Games 18 and all his wins in 2012, including the Protec Pool Party, The Bowl-A-Rama at Bondi beach and the Bowl-A-rama in Wellington. 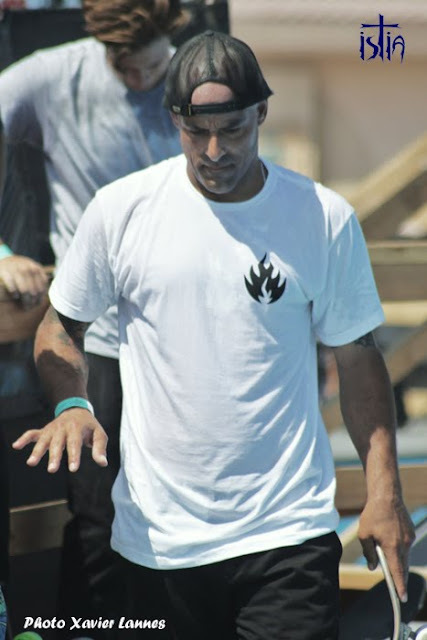 Pedro barros said that he was not like winning today because the bowl was too crowded and he could not watch his back and skate 100% at the same time. Eventually, Ben Raybourn won the stuff and brough back home $20,000 for 1st Place at this year's Coastal Carnage Presented by Converse. 2 Ben Hatchell Blunt kickflip fakie on the cradle. 3 Charlie Blair Blunt kickflip fakie on the shark. 4 Kevin Kowlaski Frontside invert off the shark into the clamshell. 5 Josh Borden Cab indy nosepick on the shark. Josh Sandoval (Screech) did not make the finals but he is still our favorite.